Dr. Maria Strömme is one of the foremost scientists in the field of nanotechnology. At the EAO Congress in Vienna, she visited the Dentsply Sirona Implants stage to deliver a refreshing talk to an enthusiastic audience. Conclusion: nanotechnology will revolutionize everything from society in general to the specific field of dental implants. Our buzzword for tomorrow is going to be nanodentistry. Dr. Maria Strömme is working towards a future where sustainability is achieved in every scientific field. For Maria this quest begins at the nano-level. Growing up in Norway, she went on to study engineering physics in Sweden and earned her PhD in solid-state physics. 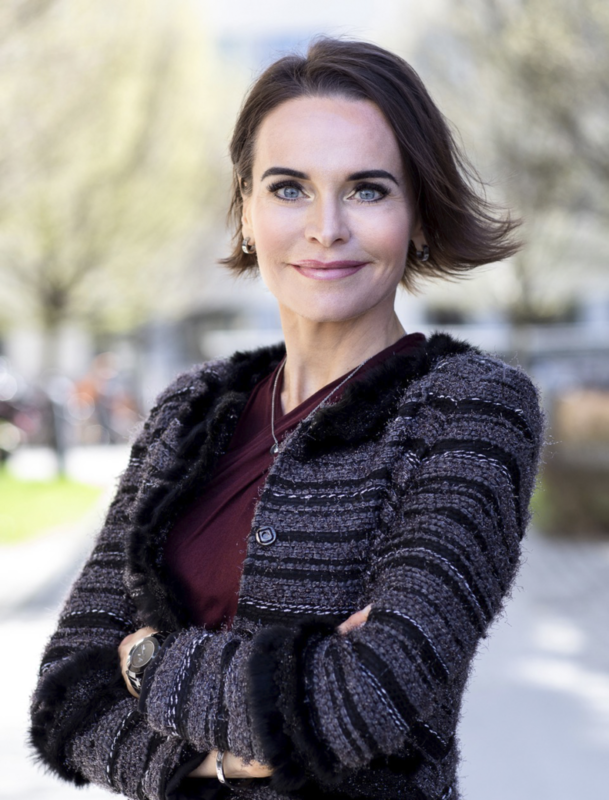 In 2004, at the age of 34, she was appointed Professor of Nanotechnology at Uppsala University and became Sweden’s youngest professor in a technical science field. Today she lectures on and explores the properties of materials, focusing on how they can be tailored to meet our essential needs in the future. Her work has already earned her several awards and medals as well as assignments on company boards, national and international research councils and universities. At the EAO Congress in Vienna in October she gave a brief summary of how nanotechnology will change science, society and humanity from the ground up. It sometimes sounds like sci-fi and to be honest, it kind of is, but it won’t stay that way for long. Today nanotechnology is already used in everything from developing smart fabrics that serve as reverse greenhouses, to methods of curing cancer. This development has even resulted in the invention of a new word: nanodentistry. We’ll get back to that in a minute. If you look at all nanotechnology projects worldwide, in both industry and academia, they are all in one way or another linked to solving the grand challenges we have ahead of us, and as such are totally dedicated to securing the future of humanity. One of the most critical issues is being able to fix the global energy supply in a sustainable way with regards to harvesting, storing and transporting energy. Much of the focus is on the sun as well as on smaller objects, such as ourselves, our human bodies. Recently, scientists have developed a cost-effective textile, nanoporous polyethylene, which acts as a reverse greenhouse. When made into clothes, it could provide a personal thermal management system and we could permanently get rid of coolers and heaters and thus save energy. In the nanotech science field, a lot of research is also based on the fact that tomorrow’s society needs to get people to stay healthier longer, because people are living longer. Nanotechnology can help in this area, by curing age-related diseases and diagnosing diseases before we get sick. With nanotechnology we can help turn our bodies into factories that reproduce or replace damaged tissues. Advances in this emerging field are led by researchers working with bones – oral surgeons. One of the pioneers leading the way is Swedish oral surgeon Andreas Thor, Professor at Uppsala University. Dr. Strömme shows the example of a 70-year-old patient who was examined by Dr. Thor and was found to have inadequate jaw bone quality – the surgeon could not place the dental implant. Dr. Thor used instructive nanomaterials and planted them into the jaw. Four months later the patient returned and had rebuilt his own new bone and the surgeon could place the dental implant. What many scientists ask now is if nanotechnology actually can work in a hostile environment like the mouth. Dr. Strömme’s answer is a resounding ‘yes’ – and her colleagues agree. The term, and perhaps also the field of nanodentistry, was born almost 20 years ago, back in the year 2000. As nanomedicine advanced, dentistry also started evolving in the field of nanotechnology. It is expected that nanotechnology will impact the fields of diagnosis, materials, restorative dentistry and surgery. Nanodentistry will provide dentists with a new alternative approach that can be applied in their dental practice to treat oral health-related problems with a higher degree of specificity. The applications of nanodentistry are designed to achieve maximum therapeutic efficiency with minimal side-effects. Furthermore, nanodentistry will impact implant dentistry. In the field of implants, it can enhance osseointegration, bone growth, and ultimately improve the prognosis of the implant. In test labs implants are surfaced with nanoscale deposits of hydroxyapatite and calcium phosphate, which create a suitable medium for osseointegration by activating the osteoblasts. These have proven to improve osseointegration by 150%, thereby decreasing the length and number of appointments. Dr. Maria Strömme shows us a scientific field that is no longer fiction. It’s the future and the future is here to stay. If you want to know more about nanotechnology, watch this lecture with Dr. Maria Strömme from the InnoTown Conference. Why is implant dentistry expanding so fast in China?